The markets rallied strongly over the last year on President Trump’s tax reform and now the markets have, more recently, been selling off due to tariffs. As investors are coming to learn, when it comes to the stock market, Trump giveth and Trump taketh away; we’ve yet to see, however, if this is more bark than bite and all part of Trump’s general negotiation strategy as outlined in his book The Art of the Deal. Trump began his tariff agenda on imported steel and aluminum, which saw the market dive on the news, particularly commodity plays, but since the original announcement, Trump has exempted nearly every major steel-producing country from the tariffs (including the European Union, Canada, Brazil, Argentina, Australia, Brazil, and South Korea). Additionally, his previous hard stance on NAFTA is also beginning to soften in the last few days. While this week’s announcement of tariffs on $60B of Chinese goods rattled the market, this will not go into effect immediately. In response, China has only retaliated so far with a much smaller $3B tariff on American imports. Furthermore, we are also not seeing any warning signs when looking at the internals of the market to suggest a major market top is here. We have developed an indicator (lower panel below) that looks at the participation of stocks in a bull market with sell signals occurring when it falls below 0. 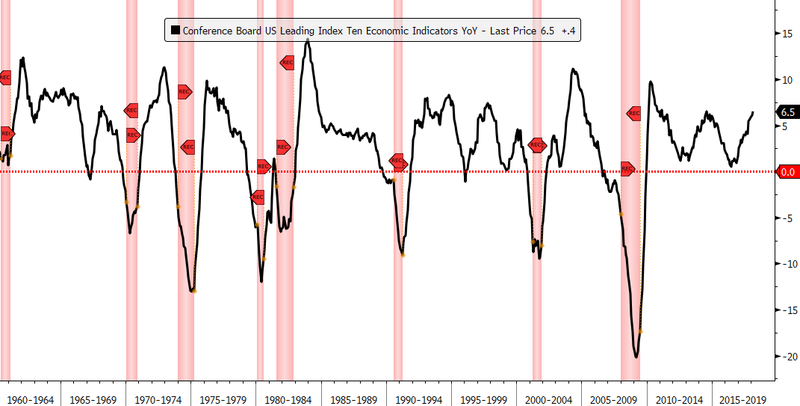 We show this below where the New York Stock Exchange Index is in the top panel and our indicator is in the lower panel and the bulk of the last two bear markets saw our indicator in negative territory (highlighted by the red regions). We did have a brief scare in 2015-2016 but when you look at our indicator now we are well above zero and not in danger of any bear market signals. We will continue to monitor the incoming data vigilantly to look for any major shifts to the outlook. Until leading economic data, market internals, and other metrics deteriorate, we remain in the camp that this bull market may likely continue and what we are experiencing is a normal, and much needed, correction in an ongoing bull market. To find out more about Financial Sense Wealth Management or for a complimentary risk assessment of your portfolio, click here to contact us. Advisory services offered through Financial Sense Advisors, Inc., a registered investment adviser. Securities offered through Financial Sense Securities, Inc., Member FINRA/SIPC. DBA Financial Sense Wealth Management.